This exhibition consists of three distinct types of work. 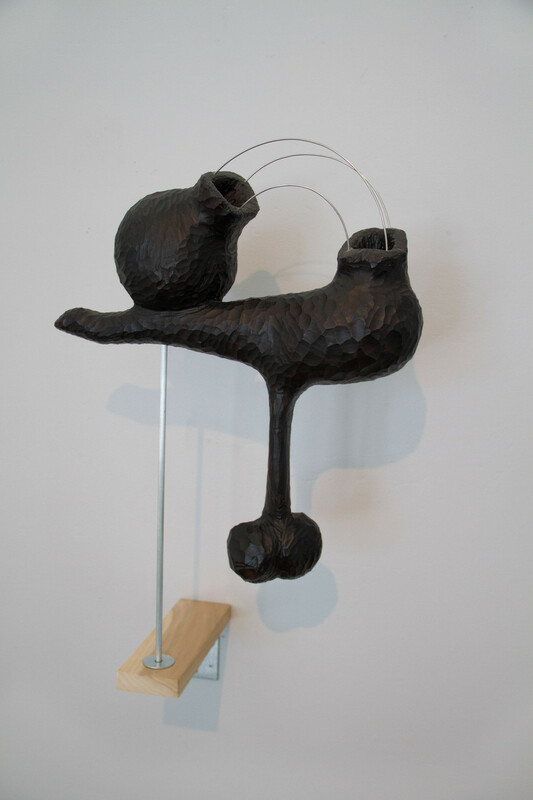 The first group is carved wood sculptures, some of which are abstract and others depict human or animal like forms. The second consists of sculptural abstractions which are light and airy; they appear to defy gravity as they hang within and upon the architecture of the gallery. 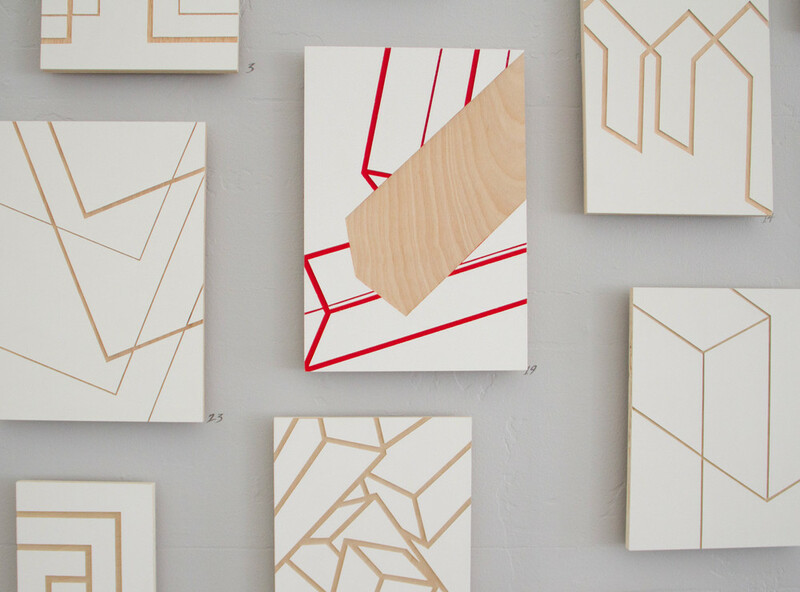 The third group is low relief linear abstractions inspired by architectural principles and forms. These works were produced over the past several years; the most recent pieces are tar covered white plastic sculptures. The variety of works exhibit a continual exploration of new visual forms and the expressive potential of materials.